Russia's 2018-2027 state armament program includes an armed prototype of the Orlan-class ground-effect vehicle, with the aim of defending Northern Sea Route infrastructure. Russian officials are considering bringing back an unusual vehicle from the late Cold War era to extend the nation’s ability to protect infrastructure in the Arctic. 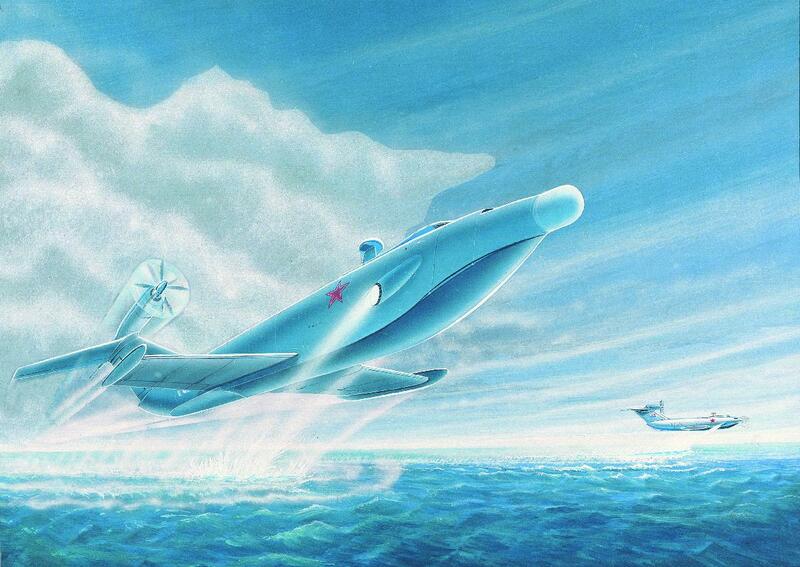 A Lun-class ekranoplan, or wing-in-ground-effect vehicle, first flew in 1987. The massive missile-carrying half-boat, half-plane construction, with a wingspan of 38 meters, was nicknamed the “Caspian Sea Monster” and flew for just a few years before being at the end of the cold war. It’s now stored in Kaspiysk in Dagestan. Now plans to develop a more modern version, named Orlan, are included in Russia’s 2018-2027 state armament program. First, a prototype craft armed with missiles will be built, Deputy Prime Minister Yuri Borisov told TASS on Monday. “The state armament program for 2018-2027 includes the Orlan research-and-development work, which stipulates the construction of the wing-in-ground-effect craft. The prototype will be created as part of this armament program and it will carry missile armament,” Borisov said. Ground-effect vehicles have the advantage of flying at lower altitude than ordinary aircraft but moving at higher speeds than a ship. TASS reported in 2015 that the navy expected to get a standardized ground-effect vehicle with a lifting capacity of up to 300 tonnes by 2020. The craft could also serve patrol, transport and search-and-rescue duties. Conceptual designing and development work is carried out by the Central Design Bureau for the Alekseyev Central Hydrofoil company. In January, the Barents Observer reported about the development of the civilian amphibious aircraft specially designed for the Arctic as it can land on sea, snow, ice and tundra.